Features: Equipped With 80L Cooling Liquid Tank. Model LDQ-350 specimen cutting machine is a kind of floor type large specimen cutting machine which is designed as per EUROPE health and safety standards and produced importing advanced processing technology. The machine consists of cutting system, illuminating system, cooling system & cleaning system and the whole system ensures easy operation for large size work pieces, non-destructive cutting of structure and the safety of operator. This machine is especially suitable for using in colleges, automobile industry, steel processing industry, laboratories & material researching institutes. Looking for ideal LDQ-350 Metallographic Sample Cutting Machine Manufacturer & supplier ? We have a wide selection at great prices to help you get creative. 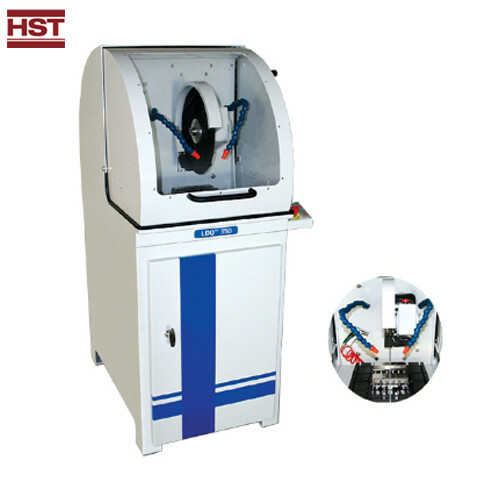 All the LDQ-350 Specimen Cutting Machine are quality guaranteed. We are China Origin Factory of Sample Cutting Equipment. If you have any question, please feel free to contact us.